In 1965 the MR16 lamp design made its first appearance, in the form of this EJM Projector source invented by Emmet Wiley of General Electric USA. 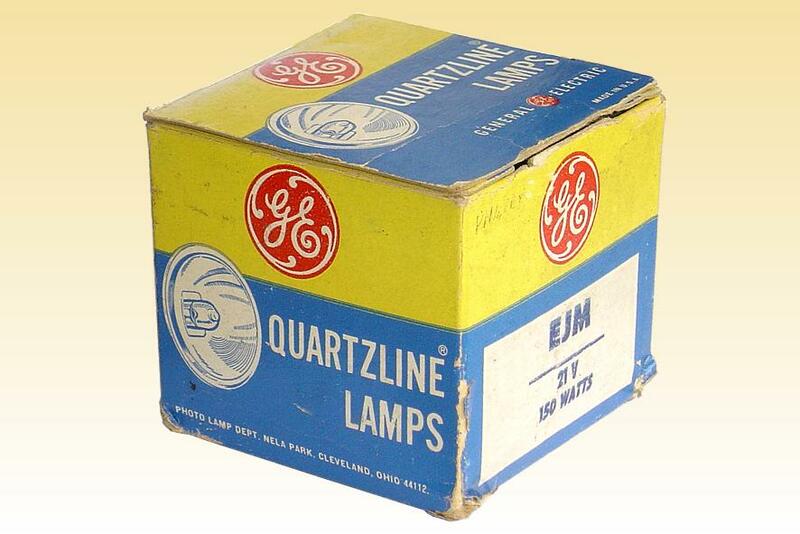 It was GE's halogen answer to the earlier Tru-Beam format of incandescent projector lamps, launched a few years earlier by Sylvania. The Sylvania lamp had one principal weakness, in that it was not a pre-focussed lamp. Owing to the variation in the shape of the vacuum-formed reflector and the further variation introduced when fusing the front lens to the mirror, the reflector rim could no longer be used as a datum from which to measure the distance to the optical focus point. The only remaining reference was its flat base, but there existed quite some variation in the distance from this to the focus point. 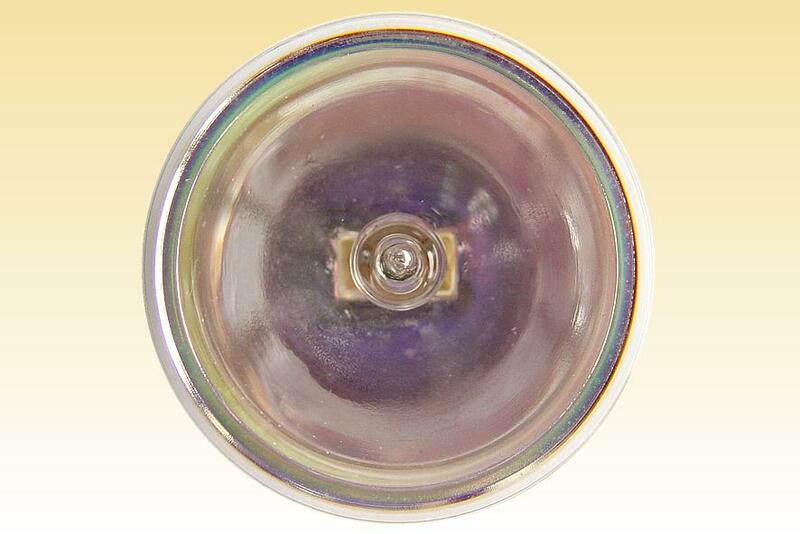 GE overcame this limitation by first forming a high precision pressed glass reflector, and cementing a single ended halogen capsule into it. The capsule could be focussed to a high degree of accuracy in the mirror, and the reflector rim used as the reference plane. For the first time this separated the electrical and mechanical connections to the lamp - formerly both had been effected via the same base. Now it was possible to mechanically locate the lamp in the projector by the reflector rim, and make the electrical connection via flexible cables. 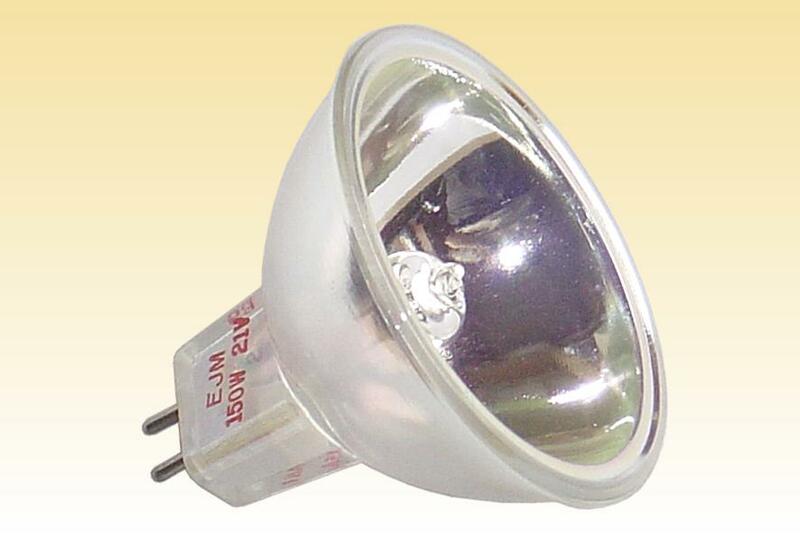 Consequently the location of the optical focus point was precisely fixed from lamp to lamp. 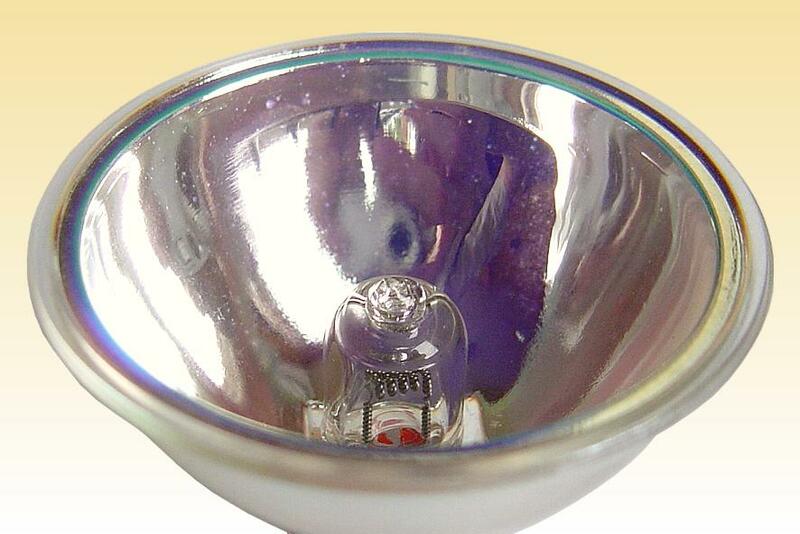 The first MR16 lamp was this EJM, employing a specular dichroic mirror. It was soon joined by EJN, differing only in its focal point. 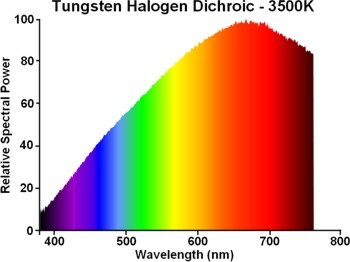 Later the EJS followed, featuring higher output with shorter life. The next major development in MR16 lamps did not come until 1971, with the invention of the facetted reflector to attain better beam homogeneity. Manufacturer: General Electric Co. U.S.A.
Beam Distribution: 44 mm focal dist. Working Distance: 38 mm 1 1/2"